Each Voralmar Mas d'en Gran apartment features air conditioning, heating, a safe and a kitchen with fridge, oven and microwave. Towels and bed linen are provided and there is a regular cleaning service. From May to September, guests can enjoy breakfast, lunch and dinner in the hotel located next door to the Voralmar. The Voralmar Apartments are just a few minutes’ walk from the centre of Vilafortuny, where you can find a range of bars and restaurants. Salou centre is a 20-minute walk away and Port Aventura is just 4 km from the apartments. During the summer months, buses to Cambrils, Barcelona and Salou stop outside the complex. 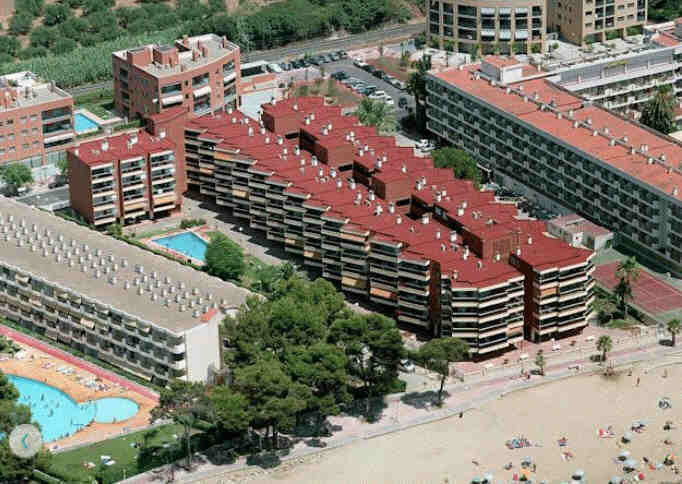 Average size for a hotel room in Cambrils is 21 m², apartments at Apartaments Voralmar - Mas d'en Gran begin at 65 m²! 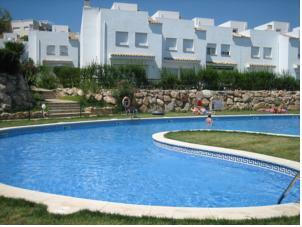 It offers 2 terraces, a shared outdoor pool and barbecue facilities. Ca La Pauleta Beach features 2 double rooms and 2 twin rooms, all of them offering plenty of natural light. The seating area includes a flat-screen TV, sofa, fireplace and a dining area. There is also a fully-equipped kitchen and 2 private bathrooms. The lively Salou and the centre of Cambrils can be reached in less than 15 minutes' drive away. Tarragona is 20 minutes’ drive from Ca La Pauleta while Barcelona is approximately 90 minutes’ drive away. Hotel Medium Sitges Park’s stylish rooms have attractive décor with white furnishings. All rooms feature air conditioning, a flat-screen TV and free Wi-Fi. Guests can enjoy a buffet breakfast. The restaurant also offers design Mediterranean cuisine for dinner. There is also a poolside bar in the garden. 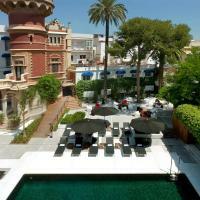 The hotel is located in Sitges’ charming old town and is just 5 minutes’ walk from Sant Bertomeu Church and the beach. The town’s railway station is less than 1 km away and there are regular trains to Barcelona, a 30-minute journey away. This video shows views of Cambrils in the Costa Dorada just along the coast from Salou. With views of the port, streets, beaches and the Moors Tower. Nearby cities include Tarragona and Barcelona. The Costa Dorada, or Golden Coast, runs from north of Barcelona to Tarragona and boasts 200 km of beach with seemingly endless stretches of clean, soft sandy beaches and crystal clear water. There are three main tourist centres on the Costa Dorada - Salou, La Pineda and Cambrils, all of which are clustered together on the section of coastline nearest to the Universal Studios theme park. Salou is the undisputed capital of this coastline with one of the biggest attractions being the mega theme park, Port Aventura, which is right alongside the resort. A short drive northeast up the coast is La Pineda. The safe sandy beaches make this a perfect holiday spot for families with young children. Cambrils is the most southern of the three resorts and is a world apart from frantic Salou. Parts of the town are still very Spanish in character with narrow, cobbled streets, ancient buildings and typical tapas bars. The resort retains all the charm of a small fishing village and boasts some world-class seafood restaurants. Tarragona was an important army base in Roman times and visitors can still see the remains of the forum, amphitheatre, aqueduct and fortified walls. The city also has an impressive medieval quarter. Barcelona is the Catalan Capital with its famous Ramblas, Gothic Quarter, fish restaurants as well as plenty of shopping and sightseeing. The small villages inland appear unchanged with the passage of time. The town of Montblanc has a fine Gothic church and also of interest are the ruins of the 12th century Cistercian monastery at Poblet. The inland areas of the Costa Dorada are also a real paradise for lovers of adventure sports. The airport of Reus is only 15 minutes drive away from Salou. The airport handles regular charter flights from London; average flying time is just two hours. International tourists also use scheduled flights into Barcelona, about one hour's drive north of Salou. The nightlife in Costa Dorada is very lively as well as cosmopolitan. It has bars, cafes, clubs, restaurants, discos etc. Cambrils and Salou are indisputably the most buzzing resorts of Costa Dorada after the sun goes down. Salou’s life gets busy after sinister, with pubs, discos, bars while Sitges’ dynamic nightlife has always been popular among Barcelonans.